Everyone has a favorite weather widget that fits their style or craving for loads of information, but sometimes you want a widget that's made specifically for entertainment purposes. FWeather widget is one of those apps, and if you look closely at the picture above you can see why. 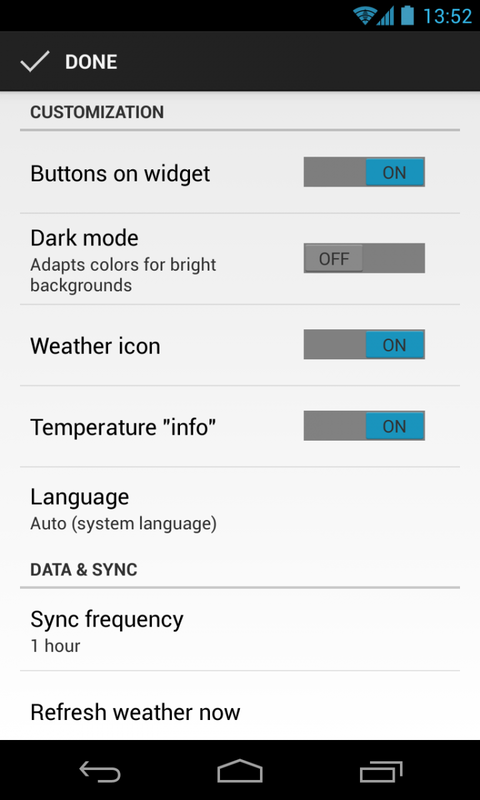 The latest update to the widget has now added a settings panel and a refresh button, which are welcomed additions. You can now tweak refresh interval, set a manual location for weather, choose what items are shown on the widget and switch to a "dark mode" if you'd like. FWeather widget is all about having a sense of humor and appreciating a little vulgarity when you're getting your weather information, and if you're into that kind of thing it won't disappoint. You can grab a free download of FWeather from the Play Store link above — but consider removing it from your home screen before you visit Mom for the holidays.